It is Grade 1 listed and the Lych Gates are Grade 2 listed in their own right. Some of the gravestones are also listed separately to the church. The church is home to one of the largest colonies of the lesser horseshoe bat. Because of the significance of the colony, the church is included within a Site of Special Scientific Interest. The communion rails, unusually, enclose the altar table on three sides. This was the arrangement favoured by the reforming Archbishop Laud, who died in 1645. Behind the altar, in the glass of the pre-Raphaelite window, you can see the Risen Jesus. It is as if He is the host, welcoming all those who kneel around Him to His party at His altar table. Then as now, and throughout all time, it is this experience of sharing bread with the Risen Jesus and His followers that continues to form the Church. The church is dedicated to St Nicholas who was the fourth century bishop of Myra in Turkey. He is the patron saint of children and also of sailors. As the patron saint of children and the giver of presents, Nicholas is the original for Santa Claus. 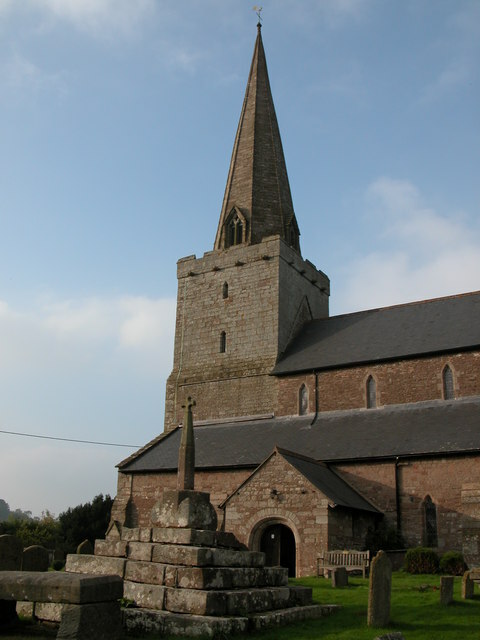 The church dates from the late thirteenth or early fourteenth centuryand its dedication is unknown. The main part of the building is medieval, although the base of the tower is earlier, and the porch is later, bearing a date of 1539. The church was restored in 1885-7 and again in 1951. It is constructed of Old Red Sandstone. The interior has a barrel-shaped ceiling from the sixteenth century and a four-bay Perpendicular arcade. It also contains an elaborate coat of arms of Queen Anne dating from 1707. 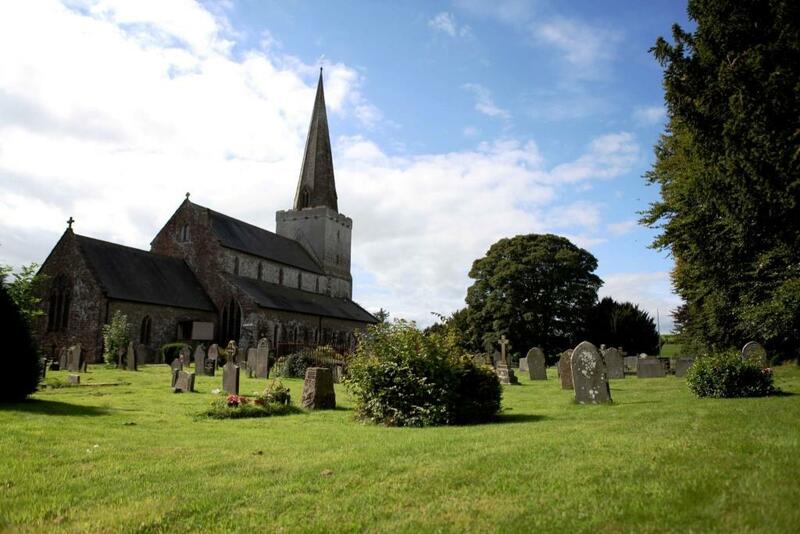 Standing in the middle of the town and its surrounding countryside, St Nicholas church can be seen clearly from all around. The present building has been here since Trellech was a town larger than Cardiff or Swansea. After the town was burnt down (in about 1250), the church was rebuilt in its present form. There is a medieval preaching cross in the churchyard and the church is entered through a door dating back to 1595. The church was restored in 1893, when a new east window and two windows in the north wall were replaced. The church is grade 1 listed. The high, steeply pointed arches, topped by the clerestory windows under the flat ceiling, emphasize the simplicity of this sacred space. There is an avenue of thirteenth century pillars which leads to the high altar.